What is purity and why is it a trustworthy characteristic to possess? Purity is an innocence that is free from negative influences. When a person radiates purity, they express genuine gifts from the heart. 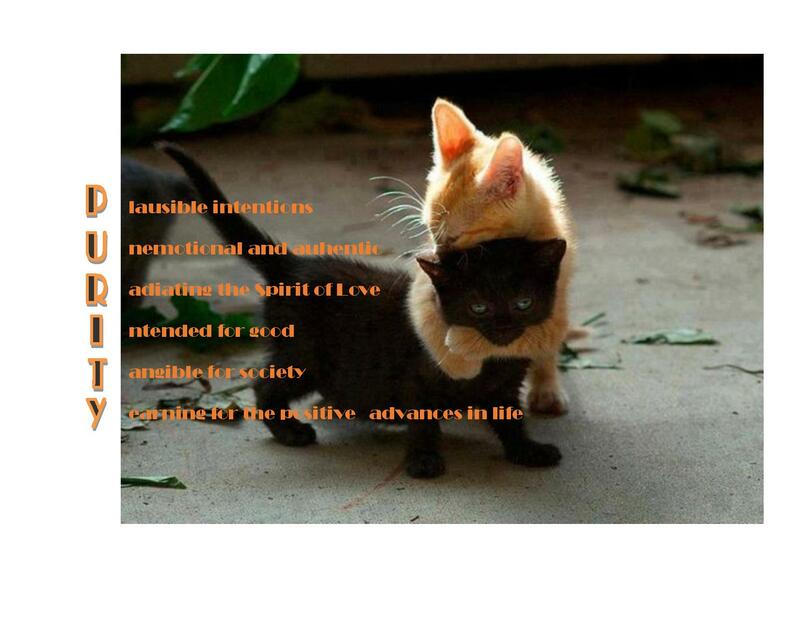 Purity is a trustworthy characteristic to possess because it conveys the care contributed to the greater good. When I encounter purity from the people I meet, I recognize plausible intentions and I find their actions aren’t clouded by a variety of conflicting emotions. Purity demonstrates an authentic purpose and radiates the spirit of love. Pure actions are intended for good and develop into tangible options for society. Through gestures that communicate support and friendship, a contribution is made to unite a community. Every supporter yearns to witness positive advances in life, especially in their environment. Dismiss the thoughts on how life should be, engage in deeds from the heart and express who you want to be. Liberate the innocence of your character, silence the doubts and express your purity.